Selling my Honda City – a ruthless decision | Globonomics! I sold my dear old Honda City 1.5 EXI today. On the other side, I was facing my realities. – I had to look at other cars that offer better value for money in terms of new purchases (I was seriously looking at the Renault Logan – essentially in the same segment as that of my Honda City with a much lower price point for a brand new vehicle! – that is set to enter India in April 2007). – I was using it sparingly in the last 6 months+ and it was by and large lying in my garage – unused. We took quite a few long trips in my City and really enjoyed having the car but it was time to look ahead. However, my belief is to get rid of non performing assets as they only depreciate in value. The same logic applies to my DELL Notebook, my Motorola mobile or my Honda City. While the brands are great, the ‘reality facing’ part of it is critical which many people delay. My belief is that once a decision has been made, move fast on it – if you really are a decisive manager. « Wrapped up reading the memoir of Carly Fiorina! Hi, I was planning to a buy a small size car. My boss happened to sell his Honda City 1.5 EXi November 2002 – 95,000 km. I have purchased it for Rs. 2.70 lakhs. It is a very well maintained, company owned, serviced every 5000 kms., recently painted, battery, tyres and AC changed in last 2 years, 5 servicing available of original Honda showroom. I think I have got a good deal. Your comments please. I think you have got yourself a good deal there. My only concern is the mileage your boss has clocked – 95K kms sounds like a lot of running for the car. 1. The engine – don’t worry – Honda engines never die so rest assured the car will run like a charm unless your boss has been tough on his engine – I doubt it – given the segment of owners who drive this vehicle. 2. The tyres – as you said, this is not a concern area as the tyres seem to be new as per your feedback. 3. The chassis – when you drive close to a lac kms, the car would’ve gone through all sorts of terrain – not to mention the low ground clearance the City is infamous for! Recently, my cousin hit his 2004 Honda City (the new spaceship model!) on a rough terrain and the transmission got disturbed as also his engine due to an oil leak. Worse still, his insurance company did not foot the bill for some strange reason – the bill had to be coughed up by this chap and it was a whopping Rs. 2 lacs (out of his own pocket). 4. The Honda City has some electronic controls. ex: My car had some Japanese spare part which had conked off and the amber indicator always kept flashing about 2 years ago. This caused a major dent on my pocket then because the replacement cost was very high – Rs. 15K! This part is available only in Japan and therefore has to be imported! All in all – make sure you have run through the car by an experienced Honda showroom mechanic and pose like as though you own the car to get a good review/feedback from him. They are usually candid about their feedback. Lastly, make sure the AC etc. has the coolant etc. replaced as this is also quite expensive – each of my Honda services used to cost me at least Rs. 7K (every 6 months) so its quite a white elephant to maintain. I felt like you could’ve bargained with your boss for selling the car to you at Rs. 2.5L – given its mileage. Also, did you get the suspension checked? Again, that would’ve gone through a lot of wear and tear in the near 1 lac kms your boss has driven. Was this car chaffeur driven or owner driven ? That can make a big difference to the condition of the car per se. That’s quite a high quality feedback with a lot of thought. While frankly, I haven’t checked much before buying and have only relied that its better to take “used car” from someone you know rather from a dealer. I am realising that I will be venturing into a unchartered territory (on maintaining and possible repair costs) and your feedback is making me prepared for that. But a repair cost as high as Rs. 2 lakh is worrisome. Let’s see. His car has been chaffeur driven and I am personally aware since last 2 years that the car has been very carefully handled. Rest, only time will tell me how next few months will go on this front. Yes, I will get it checked through an experienced honda showroom mechanic. When one sells a 2nd hand car, one needs to be extremely careful to sell it to known parties. I sold mine back to the Nandi Toyota showroom from who I had purchased the car in the first place. I immediately called up my Nandi Toyota contact asking him as to how this can happen. He says that the RTO and traffic police have no coordination and therefore their records would reflect the past owner’s address etc. I find this to be a dangerous practice. Luckily, this was a simple parking offence, what if the party who purchased this car from me (via the Nandi Toyota chaps) had misused the vehicle? I also was quite insistent to only sell to the Nandi Toyota chaps even though I had higher bidders for my car was partly because they give an undertaking that on the day of the sale from me back to them, the car ceases to be mine (legally too – this means the RC book also would go to them). They also said they would not sell the car to anyone else till the RC book is transferred to that person’s name and moreover, they said they would copy me a copy of that RC book (which I had to remind that chap today). Anyway, hope things settle down. mahesh please contact me @ 00919946126770 as soon as u can…………..harshan. Mahesh, I am interested in buying your car, pls call me on 9980099230. Your number is not working ! I got a Baleno LXi Euro III with Mag Wheels, Leather Seat & Brand New Pioneer Double Din Music System + JBL Speakers. Done 26k Kms. Want to sell n upgrade. honda city is a good vehicle.. no doubt.. 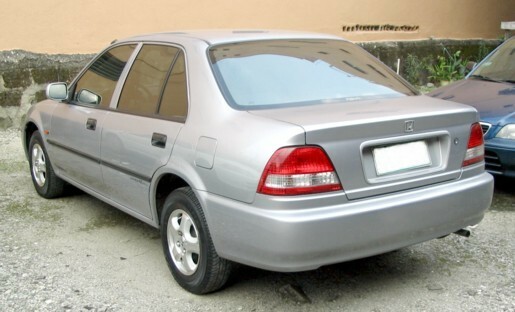 I am looking for Honda city classic model, 1.5 EXI 2003 model. If anyone selling the car please let me know at 9810529795.
hie, i have a honda city 1.3 in kolkata. its a 2002 model. extremely good condition since it has run only around 30,000 kms. it has chrome finish on its dashboard and door handles on the inside, original from honda. panasonic system (i paid around 45k for the new system 3 years ago.) it still has original body paint (heather mist colour–something like mix of gold and silver), no accidents etc. just minor scratches and bruises since it has run very less. if you are interested then call me up. can i know the car price ur selling.. 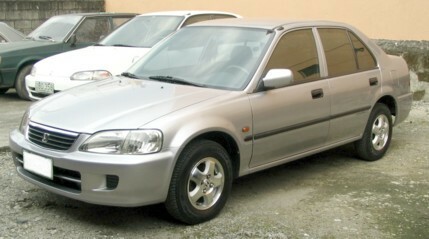 I am looking for Honda city Exi or Vtech Old model.persons from chennai/bangalore can contact me.